Preheat your Yoder Smokers YS640 to 325ºF. Spatchcock the chicken - cut along both side of the backbone. Remove the backbone. Press the chicken flat. Loosen the skin from the meat. Season the chicken under the skin with Plowboys Fin & Feather. 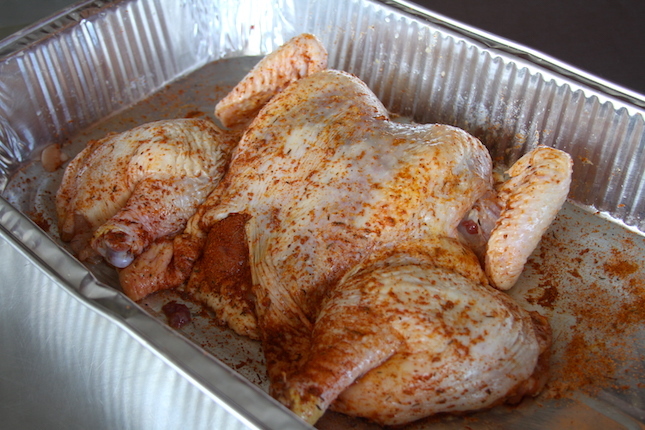 Place the chicken on a foil lined sheet pan (or other pan that can catch the juices as the chicken cooks), skin side up. 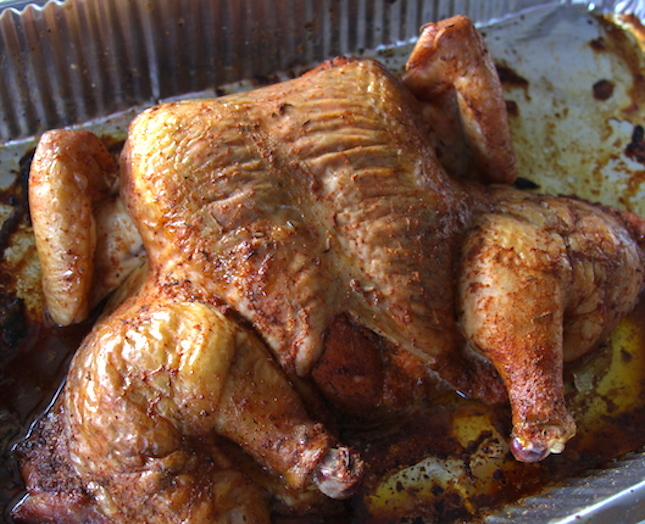 Cook until an instant thermometer inserted in the middle of the meat reads 165ºF (1.5-2 hours). Remove from cooker. Discard the skin. Pull all the meat from the carcass. Discard the carcass and toss the shredded meat in the accumulated juices, as well as desire amount of Kim’s Gourmet Bourbon-Aki. 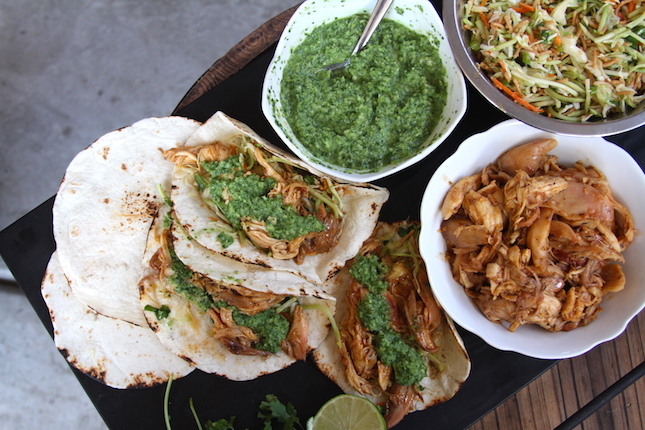 Build the tacos with the pulled chicken, Asian slaw, and coconut salsa verde. 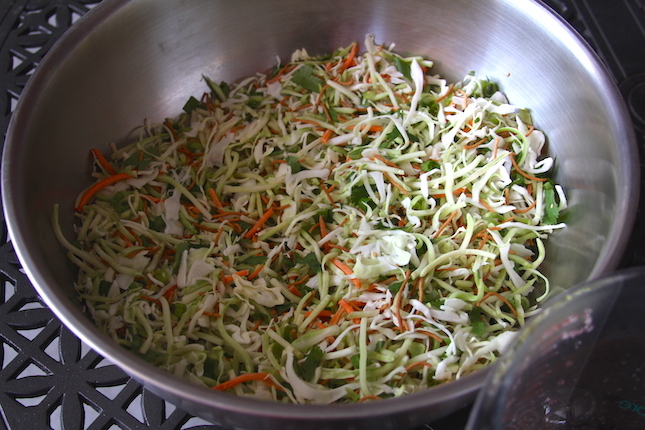 Asian Slaw-Combine the cabbage, carrots, green onions, mango and sesame seeds in a bowl. Add the sugar to the bowl and toss to incorporate. 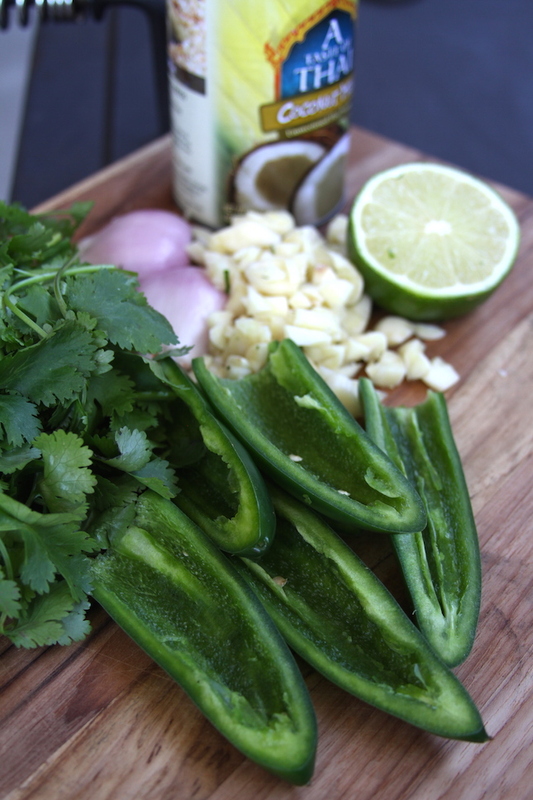 In a separate bowl, combine the vinegar, lime juice and soy sauce. Vigorously whisk in the oil. Pour dressing over the cabbage mixture and toss to coat. Cover and refrigerate until serving. It's best to let the dressing soak in for at least an hour. 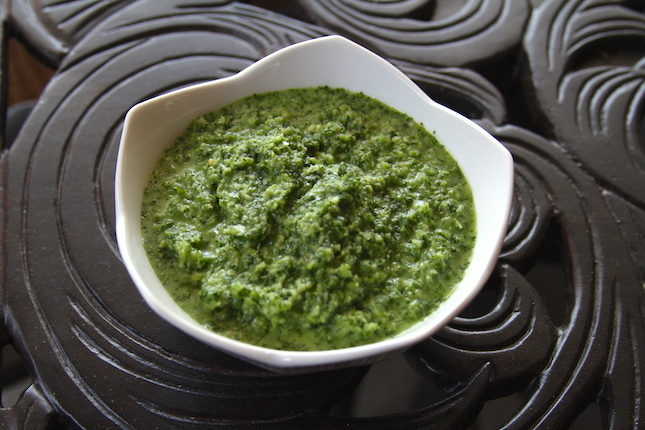 Coconut Salsa Verde-Combine all ingredients in a food processor. Blend to desired consistency. Taste and adjust seasonings as necessary.